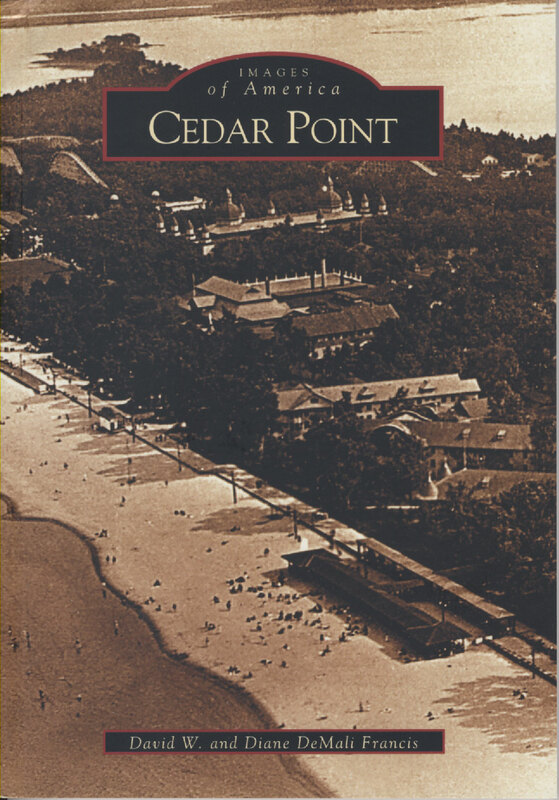 In 1870, Louis Zistel began ferrying passengers from Sandusky to the Cedar Point Peninsula’s beer garden and sandy beaches. In 1888, the Grand Pavilion was built, housing a massive theatre, bowling alley, photographic studio, and kitchen, and shortly thereafter, the resort’s first roller coaster was installed. George Boeckling transformed the resort into a self-sufficient city and amusement park, but the park suffered badly in the 1930s economic depression. 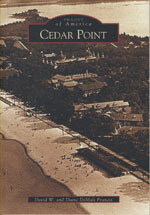 However, after Cedar Point changed hands several times in the 1950s, it became one of America’s leading amusement parks. Today, the park is best known as the world's largest amusement park and the "Roller Coaster Capital of the World". David W. and Diane DeMaili Francis are members of the National Amusement Park Historical Association and American Coaster Enthusiasts. they have authored six books on amusement parks, including the Arcadia titles Ohio's Amusement Parks and The Golden Age of Roller Coasters.